This 8th instalment of the Roy Grace series pushes Peter James upwards in my list of most read authors, now sitting at number 8 just below Patrick Gale. Its predecessor “Dead Man’s Grip” became my first James five star recommendation earlier this year. I felt that it was a classic crime novel which had everything I would look for in a police procedural. This is not as good. I used to live in Brighton and part of my attachment to this series is to do with its location and very strong grounding in reality. Although here the locations are present James seems to have ramped up the plot to a heightened level which at times hovers too close to the preposterous. Central to this is a type of character I’ve come across before and I’m yet to like. This character, here called Gaia, is a Madonna/Lady GaGa hybrid of the huge international celebrity. She was present, along similar lines in Zadie Smith’s “Swing Time” (2016) where she was called Aimee and was the weak spot in an otherwise impressive work and, here, despite me thinking there’s value in exploring the notion and trappings of celebrity, Gaia also does not ring true in this context. With a stalker on her trail she returns to her Brighton birthplace to take up a film role as mistress to George IV using the Royal Pavilion as a location. Others are interested in her return closer to home. Meanwhile, a torso is discovered on a chicken farm and Roy Grace inches further towards fatherhood. There’s also significant development in two ongoing plot lines; Grace’s missing wife Sandy and the leaking of sensitive information to the press. Although Gaia’s presence can make the plot feel far-fetched the groundwork is set so well in this series that it doesn’t really matter. James continues his blurring of fact and fiction with the film co-stars Hugh Bonneville and Joseph Fiennes written in. He also uses the real names and professions of many of those law-enforcers who contribute to his research. The whole thing is more larger than life than usual but the rooted ongoing characters and their lives feels important and once again this really drew me back in. That is why I think it is so important to read this series in order. It does crank up to a climax which affected me more because James has made me care for the characters. If I had just picked this off the shelf without reading any of the series before I might have thought it just a bit silly. Pace is good and it reads well and all in all, despite my reservations, this is a solid instalment to a great crime series which just falls short of being considered amongst its best. Not Dead Yet was published in 2012 by Macmillan. I’m up to Book Seven of what has become my favourite crime series. Peter James’ novels featuring DS Roy Grace have appeared on my end of year Top 10 lists on three occasions and up to this point I would have struggled to say whether the chilling debut “Dead Simple”(2005) or novel number five “Dead Tomorrow”(2009) with its organ trafficking theme was the strongest but I think here the standard has just upped a notch and in “Dead Man’s Grip” we have a classic crime novel. A couple of the earlier novels I felt had slight issues with pace but the three since “Dead Man’s Footsteps” (2008) have put this right and there are certainly no issues on this score here. The book hits the floor running and is gripping throughout. It has been about 18 months since my last James novel but his characters are so well established by this stage in the series that I don’t need much in the way of memory jogging to recall who is who. I would urge newbies to read them in order, especially as there is an ongoing subplot regarding Grace’s missing wife, Sandy, which James keeps lightly simmering on the back burner here. I don’t think I would have got as much from this novel if I had read it out of sequence. Roy Grace is here an expectant father but has only a small amount of time to fret over pregnancy complications before another set of Brighton-based crimes take over. They all stem from a tensely written road traffic accident which leads to involvement of a New York Mafia family. Sometimes it is a set piece which sticks in the mind in James’ novels and I have felt that the book has been built around this. That’s not exactly a criticism as many crime novelists choose to do this but this instalment is so full of memorable pieces, to the extent that I wondered if it could be built to a gripping climax, but we are certainly not deprived of that here. This really does have everything I look for in a police procedural crime novel. The research seems first-class. In his acknowledgements it seems as if James has used every member of the Sussex Police Force for help and advice. (He has also used a few real names and job titles throughout the novel). If there is a better British crime writer out there at the moment I haven’t found them (yet!). And I still have got 6 books to got to catch up on this series. The 14th “Dead If You Don’t” is due out in hardback in May 2018. Okay, so I know I’m six years behind with the Roy Grace series but I enjoy James’ Brighton-set police procedurals so much that I ration them. I realised that I did not read one at all last year (I had read two the previous year) so had to put that right. This is book number six in the series where it is imperative to keep a list because of the similarity of the titles and look of the books. I think things started off so strongly with “Dead Simple” and there was a slight fall in standard for the next couple but “Dead Man’s Footsteps” and especially “Dead Tomorrow” saw James upping his game once again to produce modern crime classics. This one makes it three very good books in a row, suggesting that this is one of the most consistent of crime series. For those of you who have already read it and are trying to recall which one it is from the never-that-helpful titles it’s the one about the shoes. Now I know you remember. We have two time frames- an abduction on Christmas Eve 1997 of Rachel Ryan, tipsily tottering home on high heels. Her disappearance has remained amongst Brighton’s unsolved cold cases until a woman is assaulted after a New Year’s Eve party at the Metropole Hotel twelve years later. It becomes clear that “The Shoe Man” has returned to terrorise Brighton. A shoe fetishist who preys on women wearing new designer shoes leads DS Grace to dredge up the old case in search of clues. I’m not sure whether I get so involved because I used to live in Grace’s stomping ground. My visual impression is always strong reading these but I think this also has a fair bit to do with James’ talent for setting the scene. Short chapters, tense writing and quite a few set pieces which are absolutely gripping. It does at times make for very uncomfortable reading but the pace forces you on. I think this is where the series is getting stronger as a couple of the earlier novels had noticeable fluctuations in pace but this kept me involved the whole way through. I want to move straight on to “Dead Man’s Grip” but the pile of review books awaiting my attention means I will have to wait. Dead Like You was published by Macmillan in 2010. It’s still January (well only just) so just to give you a better idea of me as a reader I thought I’d bring you my rundown of my favourite books read in 2014. I got through 65 books last year ( a few less than previous years). As I tend to be a bit of a book hoarder and, probably like most book bloggers have probably hundreds haven’t got round to reading yet piled up around the house I get pretty ruthless at the end of the year. Anything which has been read and didn’t make my top 10 is out. So here are the survivors that are still sitting on my shelves at the start of 2015. This is the fourth Peter James book I’ve read. My favourite so far is “Dead Simple” and this is not too far away from the standard of that. Like all the books I’ve read by James this features DS Roy Grace. In Brighton, a body is found in a storm drain and a woman with a secret gets stuck in a lift (very tensely written). This is interspersed with a bit of back story- New York on 9/11 with a character about to have a meeting in the Twin Towers. All plot strands are handled well. It’s gripping and there are lots of twists and turns. There was a slight dip in the middle but things pick up nicely for an exciting last third. I enjoy these Brighton based novels (particularly as I used to live there) and there will be more from Peter James later on in this list, as he is the only author who features twice. This was a review copy I was sent by newbooksmag and my review can be found on their website www.newbooksmag.co.uk (make a note of it- don’t move away from my blog yet!) To stop you doing that here is my review. Making a familiar character the centre of a new series of books is a brave move. Done well , it can overcome any introductory novel awkwardness, as it feels like we know the characters already- done not so well it can end up diminishing the characters’ previous incarnation. The Artful Dodger is such a great creation by Dickens and yet there is considerable unexplored potential. Probably James Benmore is not the first to realise this but, in his debut novel, he develops this potential so well that I am already looking forward to the next of the series. Jack Dawkins returns to London after a period of enforced resettlement in Australia not knowing of the fate of Fagin, Nancy and Bill Sikes but on a mission which necessitates re-exploring his old haunts. He is accompanied by a compelling new character , his aboriginal “valet” Warrigal. 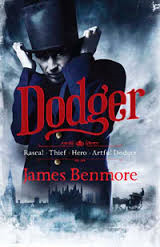 Narrated superbly in Dodger’s voice this is an imaginative, involving and great fun tale with enough touches of Dickens and enough of a modern crime novel to make a potent brew. The odd familiar character pops up for a cameo but this is very much Benmore’s tale. This reinvigoration of the Artful Dodger is the best I have read using a previously established character. It is both refreshingly new and comfortingly familiar. This is subtitled “The 1970’s in front of the telly”. Viner hits home because he is exactly the same age as me with the same cultural references and he might have spent more time watching television as a youngster than I did! It seemed so familiar that I felt that at times I could have written this. But I didn’t, Brian Viner did and great credit to him. Some very funny little stories, a very journalistic approach and highly enjoyable. It was like reliving your childhood all over again. Nowadays, the sheer variety of leisure/viewing options means that such strong cultural imprinting would not be possible, in the 70’s a whole generation would know that you followed “Boom Boom Boom Boom” with “Esso Blue” , which would mystify today’s teens. I laughed out loud quite a few times, which I might not have done if I was somewhat older or younger but for me Viner got it more or less spot-on. Up to this year I had never read any Edith Wharton. I put that right this year by completing this and “House Of Mirth” (1905) and “The Age Of Innocence” (1920). This was the book which impressed me the most. 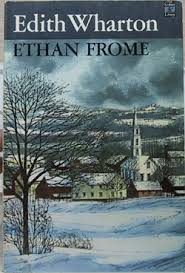 This is atypical Wharton in terms of setting (a bleak New England winter instead of New York), narrative (a story within a story – a la “Wuthering Heights”, a structure I’ve always warmed to) , class (the poor rather than the social climbers associated with her work) and character (a sympathetic lead). It’s a sparse tale of Ethan, who we know early on has been hit by tragic circumstances and in back story these reveal themselves as we are told the tale of his love for Matty, the cousin of his bitter, invalid wife who arrives bringing sparkle to his bleak existence. The sexual tension between the two, Frome’s turmoils of jealousy, despair and hope is extremely well done. The reader knows the outcome will not be good but the build-up is so effectively developed . This is a classic short novel. Sometimes, I can find it hard to commit to short fiction but this had me involved throughout. This was another book I was asked to review by Newbooks and here is my verdict- which can also be found on their website. 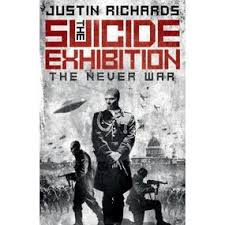 I don’t always get on with science fiction titles and too often series novels just stretch the story out too much for me but Justin Richards’ introductory title in “The Never War” series surprised me on both counts. This is a cracking, exciting start to a series. I can’t remember when I enjoyed a title marketed as science fiction more. It is also a thrilling tale of World War II. Strange sightings are coming up on the recently introduced Radar and it becomes evident that the Nazis are not only aware of this but are harnessing these strange forces in some way. Good characterisation, excellent use of “alternate reality” and a genuinely exciting storyline follows. The Sci-Fi aspects simmer and build rather than dominate the first of this series and hiding the threat of alien invasion amidst the paranoia of the war works superbly. The combination of Nazis and aliens might get not seem a match made in heaven but anyone searching for a thoroughly entertaining read (even if not a sci-fi fan) should check this out. Its accessibility and almost old-fashioned (in a good way) thrills suggest this should attract a wide readership. I’m looking forward to the second part. So that’s numbers 6-10 with my Top 5 to appear in a separate post.